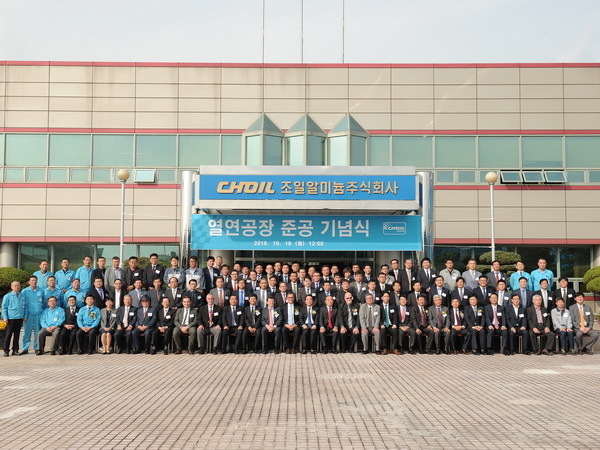 On October 18th, in Daegu, South Korea, MINO delegates took part in the ceremony for celebrating the successful completion of the plant expansion undertaken by Choil Aluminium Co., Ltd. The plant expansion includes the installation of new DC casting equipment, new slab scalping machine, new slab heating furnace and a new MINO Hot Rolling Mill. 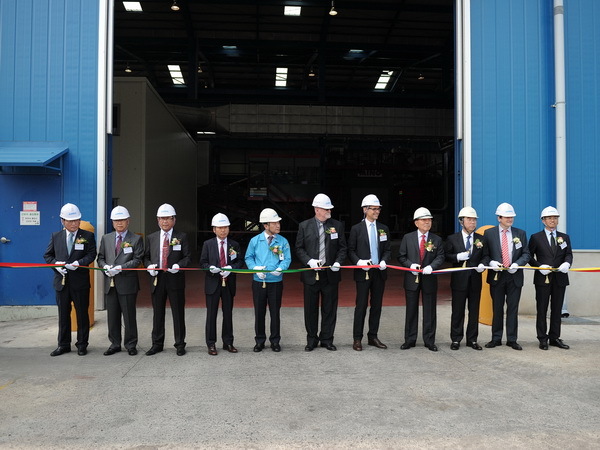 The ceremony was attended by numerous distinguished guests from all over the world, including the main customers of Choil, representatives of the Korean authorities and delegates from Wagstaff and Otto Junker, suppliers of the DC casting equipment and of the slab heating furnace. During the grand ceremony, Mr. Jae Sup Lee and Mr. Young Ho Lee, respectively the Chairman and the President of Choil Aluminium, delivered passionate speeches about Company’s past history and future prospects, handed over Plaques of Appreciation to the suppliers involved in the expansion project and accompanied the guests and delegates in a tour visit of the plant were the new equipment was observed in full operation. “Our new Hot Rolling Mill made by MINO allows us to produce high quality wide products and high strength alloys, which enables to create the new demand and import substituting effect actively in electrical, electronic, and transportation sectors including automotive. With this Mill, we have equipped annual production capacity of 200,000 t and established effective system to meet the customer’s various demands in multiple sectors by operating direct chilled casting line and continuous casting line simultaneously and supplying good quality products with extensive range from general purpose sheets to higher value added products”. Later, while handing over the Plaque of Appreciation to MINO’s delegate Mr. Cesare Pettazzi, Mr. Young Ho Lee declared: “I express our deepest appreciation for your successful support and special cooperation to manufacture and install the Hot Rolling Mill for Choil. Your endeavour and expertise will always be at our heart. I hereby present this Plaque of Appreciation to you as a token of our appreciation for your contribution”. Choil Aluminium Co., Ltd. has been the first aluminium rolling company in South Korea and is today considered one of Korean leading companies in the production of high quality coils & sheets of aluminium and aluminium alloys. With such a massive expansion project, Choil Aluminium is changing the landscape of the Korean aluminium industry, achieving new heights in terms of quantity and quality of its rolled products. MINO is proud of being associated with Choil’s successful history and continuous development. MINO is not new in Korea’s aluminium field having supplied back in the years 1996 and 1997 one Hot Rolling Mill and two Cold Rolling Mills to the Company Namsun Aluminium, today’s Daeho Aluminium, which are successfully working ever since the time of installation. 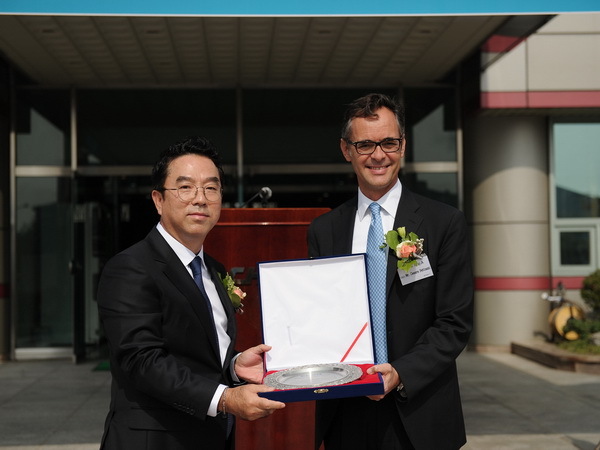 Mr. Cesare Pettazzi, Managing Director of MINO, is presented with a Plaque of Appreciation by Mr. Young Ho Lee, President of Choil Aluminium. Cutting the ribbon at the entrance of the new plant. 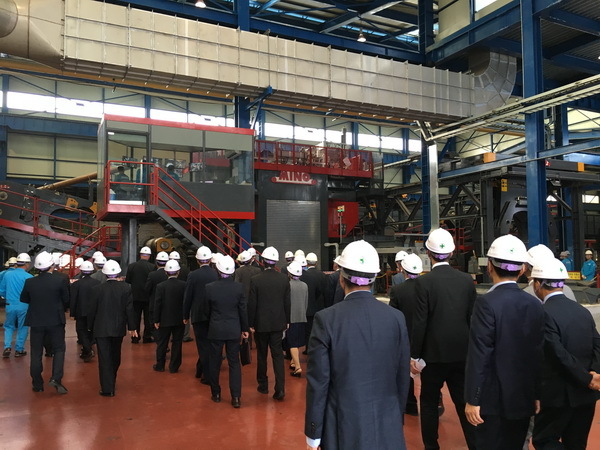 Visit by the delegates & guests to the MINO Hot Rolling Mill in operation.